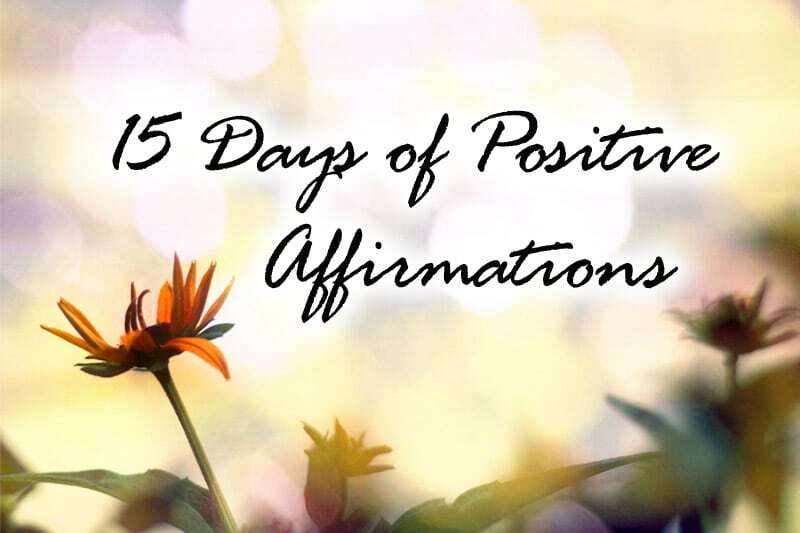 This is the roundup for the 15-Day Affirmation Challenge where hundreds of participants around the world gather to practice positive affirmations for 15 days in July 2014! The challenge is now over, but you can do the tasks in your own time. Visit the overview page for all Affirmation Challenge tasks and posts. After nearly three weeks (with 15 days being active task days and the others being break days) and 15 positive affirmations, we’re now at the end of the challenge. Throughout the 15 active days of the challenge, I’ve assigned you 15 affirmations covering different growth categories. Week 1 was all about unrooting limiting beliefs surrounding ourselves and life. On Day 1, we kicked off the challenge with an affirmation to declare the new beginning in our life and let go of any (unhappy) past, because every day IS a new beginning. On Day 2, we practiced unconditional self-love, because love of any form starts with loving ourselves. On Day 3, we affirmed our inner power, our ability to do anything we want, as long as we set our heart to it. On Day 4, we looked at setbacks and how we’ve all the power in us to overcome any setback. On Day 5, we practiced gratitude as that’s an essential value in living a fulfilling life. On Day 6, we affirmed our self-worth and worthiness of love, success, and happiness. On Day 7, we opened our mind to recognize the unlimited opportunities in the world waiting for us to create them. With our core blocks released, in Week 2, we began tackling the different areas of our life wheel. On Day 8, we broke out of conventional beauty conditioning and recognized our beauty as it is meant to be. On Day 10, we looked at love. The singles started the process to attract their soulmate, while those in a relationship affirmed that they are in a loving relationship filled with (unconditional) love, trust, and respect. On Day 11, we delved into career and began taking steps towards creating that ideal career that we love and are making lots of money with. On Day 12, we addressed some of our limiting money beliefs and began the process of attracting financial abundance into our life. Then on Day 14, we worked on our self-image (because it’s the foundation of personal growth) and recognized that we are perfect as we are. And then on Day 15, you created your own special affirmation that will give you strength, power, motivation, and inspiration, at any second of the day, no matter what you’re feeling at that point in time. If you have followed through the entire challenge and have done each day’s affirmation task to a tee, you should be an affirmation master by now (level up!!!!). You should have a deeper-than-ever understanding of your (old) self-limiting beliefs and how they were previously holding you back. You should now realize how powerful your mind is, and how the wrong beliefs can limit your success in life. You should now, more than ever, recognize the importance of having the right, positive beliefs, because they are the foundations to create the future you seek. With every challenge though, it’s not about doing the tasks and then declaring yourself “done.” It’s always important to do an end-of-challenge reflection to crystallize your lessons and identify next steps moving forward. Know that this Affirmation Challenge isn’t meant to be a magic bullet that removes all your issues and limiting beliefs (there’s only so much we can cover in a 15-day online challenge), but rather is a step (albeit a big step) towards living the empowered life. What has/have been your favorite affirmation(s)? Why? What have you learned in the challenge? Elaborate. Based on what you’ve learned in the challenge, what are three biggest actions you’d now be taking in your life to create permanent (positive) change? Look forward to reading your roundup! 😀 Thanks for the awesome challenge experience, everyone!!! It’s been a great run for me, and look forward to seeing you guys in the upcoming posts at PE!